I felt good returning today to the studio, we made so much progress yesterday. Our good luck continued as we tackled some more guitar parts. ‘Silent Moon’ gained a little noodle here and there but will most likely be wiped as the song is very simplistic as is. ‘Free From Harm’, a strange toe-tapper got some doubled guitar riffs that I had in my head ever since writing it. I got to play my favorite 59′ Jazzmaster again on that track and many other. It such an incredible guitar. The Ebow was taken out for “Between The Sun And Candlelight’ and sounds awesome. Tom done a riff which stretched over five frets. I’m sure there is an easier way of playing it but he pulled it off regardless. 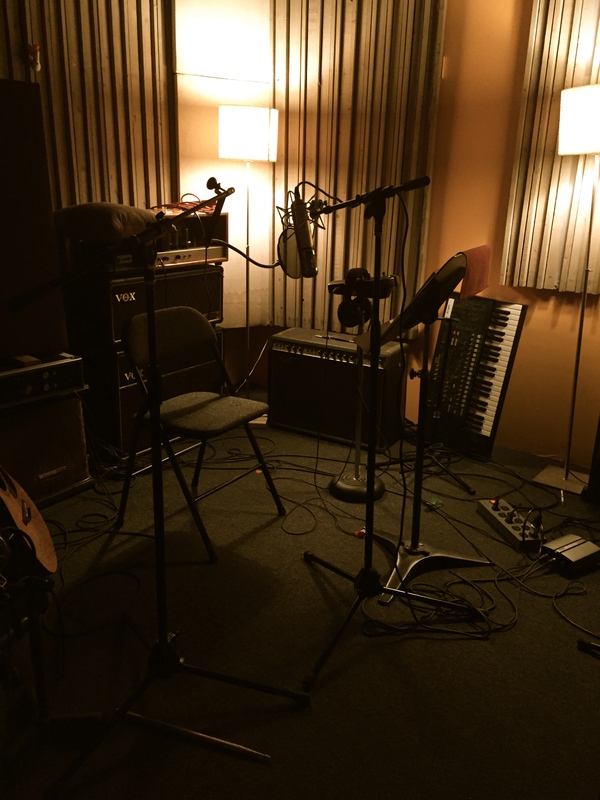 “A Better Life’ got some additional guitar and then I hit the booth to work on the vocals again. I wasn’t sure why I couldn’t nail this song until I realized that the key it’s in is just outside my comfort range. I can still hit the notes but I begin to strain a little. We done many takes and eventually got it after I decided to sing sitting down. this somehow relaxed me enough to get what I wanted vocal. I returned later for several more harmony parts that may or may not make the final cut. 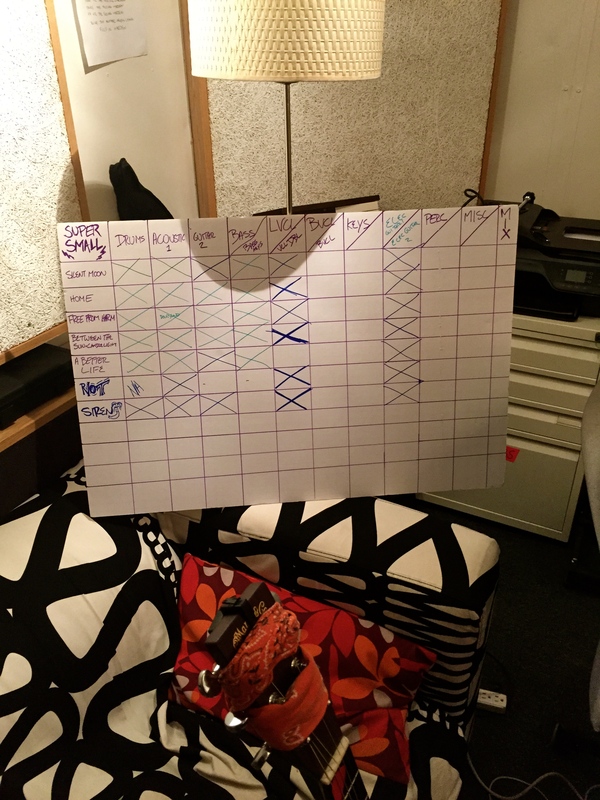 Jeremy, the piano player is arriving tomorrow and much of the guitar work may be pushed to the side as we get into the final arrangement of the tracks. Tomorrow will be an interesting day. Then what? Well, we need sot bring in our violinist and somehow get our hands on a trumpet player for ‘A Better Life’. Then what? We return to mix the songs, add the track we done with the previous studio (Take The Day Off) and send them all off to be mastered. Then what? Promote the record. Which is the hardest part.